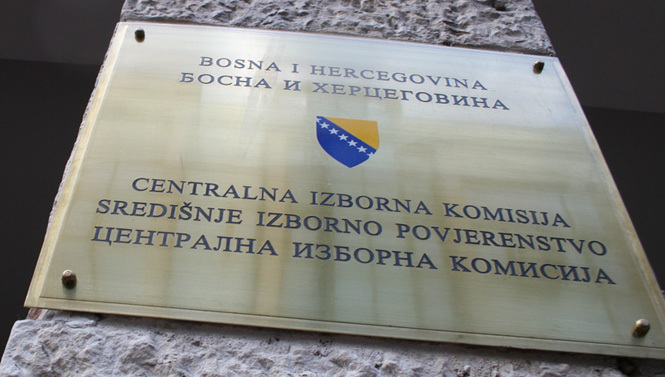 Sarajevo, 26.06.201 – After considering the Report on carried out checks of applications for certification of coalitions, and after removal of shortcoming or irregularities, the BiH CEC has today certified another two coalitions. The collation A-SDA FOR EUROPEAN BiH –TOGETHER (changed the name of coalition in the given deadline) and coalition CROATIAN UNITY HDZ 1990-HSP BIH (consolidated two applications of coalition with identical name and identical members into one coalition) were certified. The process of checking the application of the Coalition HNL-HSS STJEPANA RADIĆA was terminated because the Croatian Peasant Party Stjepana Radića has withdrawn from the coalition. In the process of certifying political subjects for the 2018 General Elections the BiH CEC certified 59 political parties, 34 independent candidates and 36 coalitions. It is important to note that names of certified political parties that stand for the elections only as part of a coalition will not be found on the ballot. The order of political subjects on the ballot will be determined by a lottery draw on 12.07.2018. In line with the Instruction on deadlines and sequence of electoral activities for the General Elections in BiH that will be held on October 7, 2018 submission of candidates’ lists starts on June 27 and lasts until July 9, 2018 until 16:00 hours. After the verification process, the BiH CEC issued certificates for nine candidates for the deputy director of the Agency for prevention of corruption and the coordination of the fight against corruption, certifying that they meet all conditions set forth in Article 13, paragraph (1) of the Law on Agency for prevention of corruption and the coordination of the fight against corruption to be appointed to the aforementioned post. The certificates were issued for: Zoran Kovačević, Dragan Bašević, Ranko Grahovac, Aleksandar Faladžić, Aleksandar Karišik, Sreto Pekić, Mladen Mičić, Miroslav Škorić and Duško Drljača.